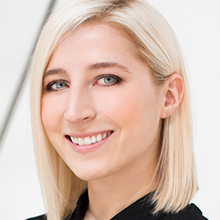 Jenna is the founding editor of technology reporting for women’s lifestyle and fashion magazines in the US. Having first started writing about tech for Marie Claire, Jenna is now leading the technology coverage at ELLE magazine. At the nexus of fashion, beauty and technology, Jenna is one of the few cross-category cross-medium editors that is leading the industry forward as an authority on tech for consumers.